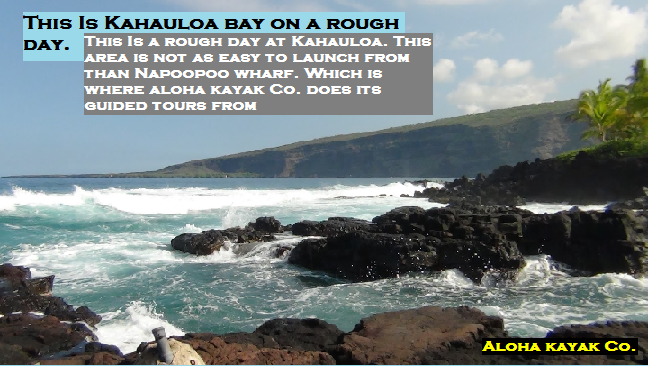 Pictured below is Kahauloa bay which is the next little bay south of Kealakekua bay. It is a small little sheltered cove with access to the ocean. The Bay is accessed through Kahauloa Road. which is 2 roads south of the Napoopoo and Puuhonua Rd. intersection. it is the next road after Manini road. There is very minimal parking in the area along the side of the road. Please make sure NOT TO PARK IN FRONT OF ANY DRIVEWAY. We want to ensure that the local community and residents are not bothered by your presence in this very quiet neighborhood. Please be respectful and kind to anyone that questions your actions. 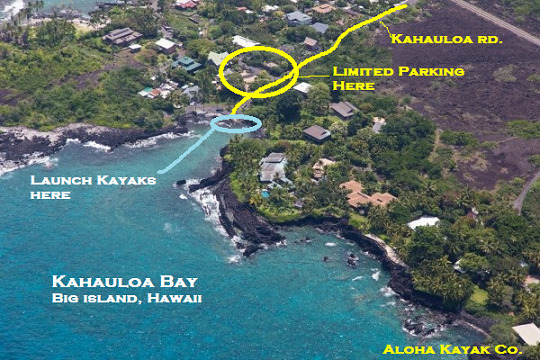 Kealakekua bay will be open to the general public in the future for rentals however permits are required and there is absolutely no landing at Kaawaloa and the Captain Cook Monument and you must launch from an outside facility unless you are on a guided tour. At this time access to Napoopoo Wharf is only accessible to guided tours and State and county officials (maintenance and enforcement). 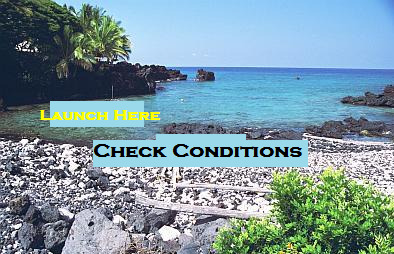 The picture below is an example of what Kahauloa looks like on a rough day.We strongly advise matching your skill set with ocean conditions, when launching a rental Kayak by yourself. 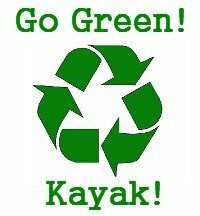 We reserve the right to not outfit customers with Kayaks on days like this, there are even days where the surf is too high for our tours (Usually only 5 times a year or so).